The SDC Steering Committee participated in a conference call to discuss the completion of the ACS Review Pilot Project. 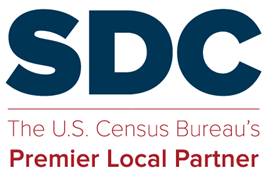 States supplied feedback on the 2009 unresolved ACS measures and this information was provided to the Census Bureau. The conference call was used to discuss the types of feedback that were supplied and the next steps for future reviews. Here are the minutes from the conference call. This entry was posted in Monthly Meeting Minutes and tagged ACS. The joint steering committees (FSCPE, CIC, and SDC) all signed this letter on behalf of the respective networks to Director Groves in support of a statistical calculator to be incorporated into American FactFinder. The statistical calculator requirements were also forwarded to the Bureau with the letter. A response was received from the Director indicating that the new AFF will be adding some functionality similar to the statistical calculator recommendations in 2012. This entry was posted in Steering Committee and tagged ACS, Calculator. This entry was posted in Tips and Documentation and tagged ACS, PUMS.